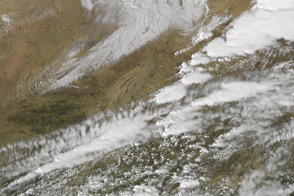 A series of tornadoes ripped through the Upper Midwest region of the United States in the evening of June 7, 2007. At least five different tornadoes touched down in Wisconsin, according to the Associated Press, one of which tore through the Bear Paw Resort in northern Wisconsin. Despite dropping as much as fifteen centimeters (six inches) of rain in some places and baseball-size hail in others, authorities were reporting no deaths attributable to the storm system, and only a smattering of injuries, but considerable property damage in some areas. 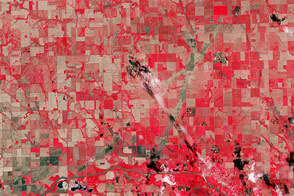 The Enhanced Thematic Mapper Plus (ETM+) instrument on Landsat 7 examined the tornado damage on June 15, 2007. 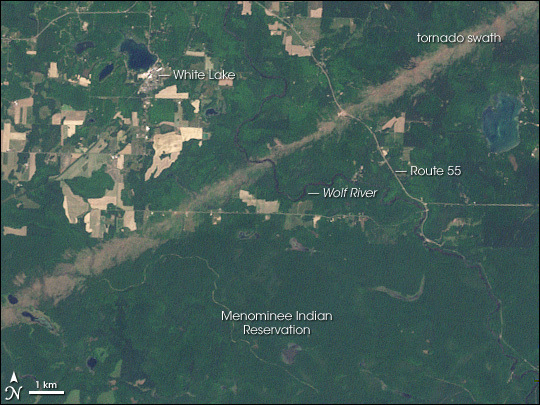 This natural-color image shows the area around the Wolf River and Bear Paw Resort just north of the Menominee Indian Reservation. 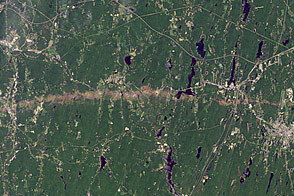 The diagonal slash across the landscape from one of the tornadoes is quite dramatic in this full-resolution image, which discerns details as small as 28.5 meters (95 feet), including roads such as Wisconsin Route 55 and the Wolf River, a favorite whitewater river for kayakers. 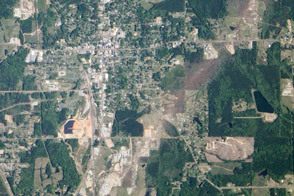 The wide, bare swath of destruction from the tornado is very evident here, where trees were torn down by winds, leaves stripped from their branches, or where agricultural fields outside the Reservation were flattened. 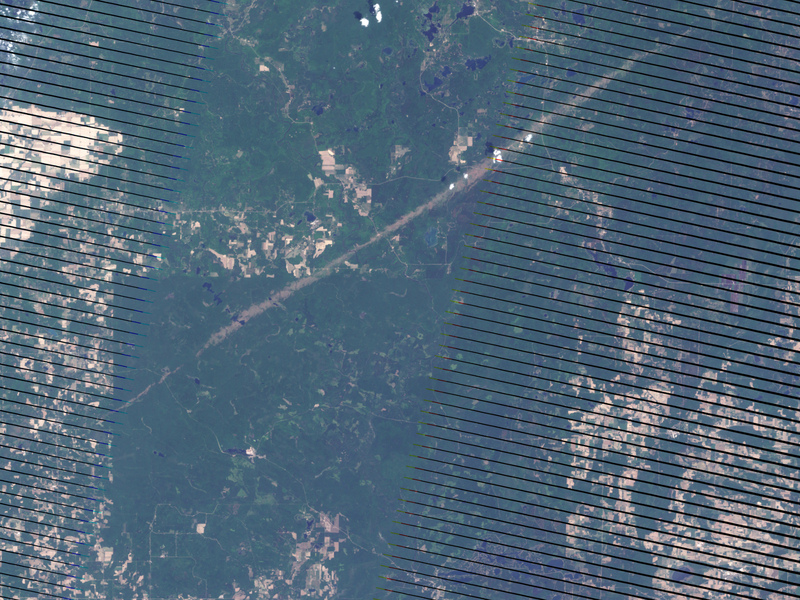 NASA image by Jesse Allen, using data provided courtesy of the United States Geological Survey (USGS). A series of tornadoes ripped through the Upper Midwest region of the United States in the evening of June 7, 2007.